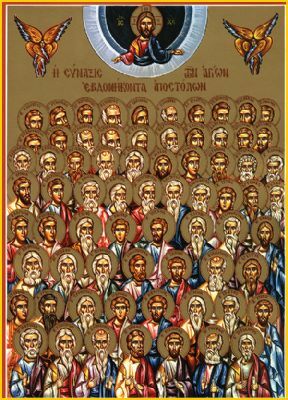 Icon of the original "Seventy" Disciples including the "Seven Deacons" of Jerusalem in front. The "Seventy" Disciples were the earliest followers of Jesus mentioned in the Gospel of Luke (Luke 10:1–24). This is the only gospel in which they are referred to and according to the scripture, Jesus appointed them and sent them out in pairs with a specific mission which is detailed in the text. These "Seventy" missionaries and evangelists were laying down the groundwork and infrastructure for the early church of Jewish Christians. 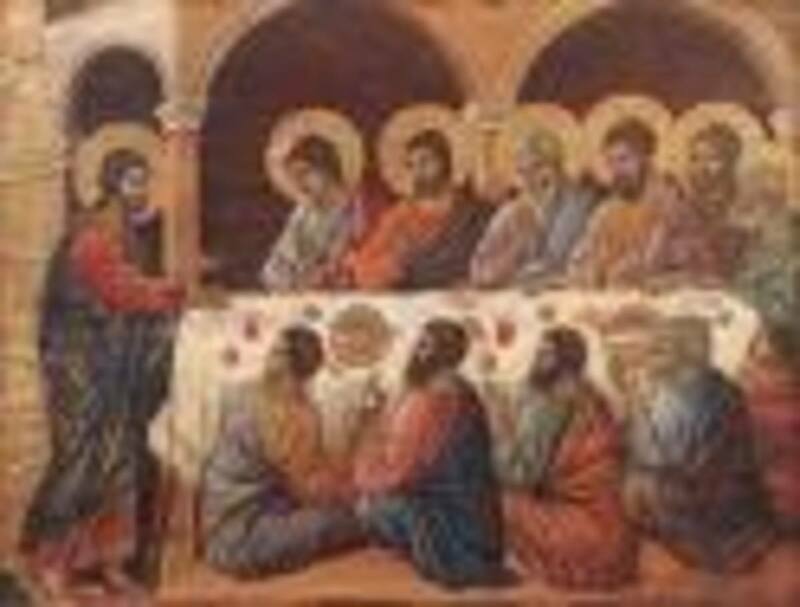 Of the "Seventy" called by Jesus, in Western Roman Christianity it is usual to refer to them as "disciples" while in Eastern Orthodox Christianity they are usually referred to as "apostles", although the two traditions differ on the scope and use of these words. Using the translation from the original Greek texts: "disciple" ("mathētēs" - to be increased in knowledge) versus "apostle" ("apostolos" - a delegate, messenger or one sent forth with orders), these words do have two distinct meanings. Various early Christian authors and church fathers estimated lists based on what had been known about these original disciples and what was recorded by the administrators of the early church. The names included in these various lists differ slightly and the listings are not perfectly accurate however, also including names that (although historically correct) may have been a mixture of the original "Seventy" that were ordained while Christ was alive and those newer disciples having been adopted as the church later spread into the Gentile nations. Probably one of the better known listings is that which was documented by Hippolytus of Rome, who was a disciple of Irenaeus (who was a disciple of Polycarp, a direct disciple of the Apostle John). In the Hebrew text of the Old Testament, neither of these terms are found nor the exact idea, although there is a designated difference and roles established for a "teacher" and "scholar" among David’s singers (1 Chronicles 25:8), and among the prophetic guilds with the distinction between the rank, file and the leader (1 Samuel 19:20; 2 Kings 6:3-5). Therefore, a similar hierarchy would have been customary within the core of the discipleship as well. In viewing the description of the commission given to the "Seventy" as stated by Jesus (Luke 10:1–3), both titles are descriptive as an "apostle", which is "one sent forth on a mission", versus the typical definition of a "disciple" as "a student". Likewise, as we further view the details of the mission they are about to engage upon (Luke 10:9) and the comments made as they return from their first outbound mission (Luke 10:17-19), it becomes obvious that these men are more seasoned and committed followers of Christ than just mere novice students of the ministry. It should be noted that this transition in nomenclature meaning and definition of the terminology, more refelcts the early church's growth as it begins to define itself and further establish the role of its administration and authority. Before the scattering under the persecution of King Herod Agrippa I (41-44 A.D.), it is mentioned that many of these earliy disciples had receiving an anointing by the priests and church leaders, thus conferring a "title of authority and responsibility" by which they could conduct themselves in their missionary journeys. The Apostle Paul also further reflects this in the manner by which he refers to various "disciples" in the field of their operation. Therefore, it can be reasonably assumed that these disciples were acting in the capacity and office of an Apostle, even though they are not necessarily referred to as such in title alone, directly in the scripture. APOSTLE = Dictionary: a title borne by persons sent on foreign missions to carry the Christian message into the world; the first Christian missionary in any region or country; the title of the highest ecclesiastical offices (members of the clergy who address the assembly) and upper executive administration of the church officials. The apostles were originally ordained directly by God (or Jesus Christ) and by a special indwelling of the Holy Spirit that designated these people above the other disciples as leaders for the church. The remaining eleven Apostles (and the anointed replacement for the 12th) would become the Apostleship of the first ecclesiastic council of the Jewish Christians (still not quite the Christian church yet) by default. As their ranks grew organizationally, the numbers of the discipleship likewise increased. 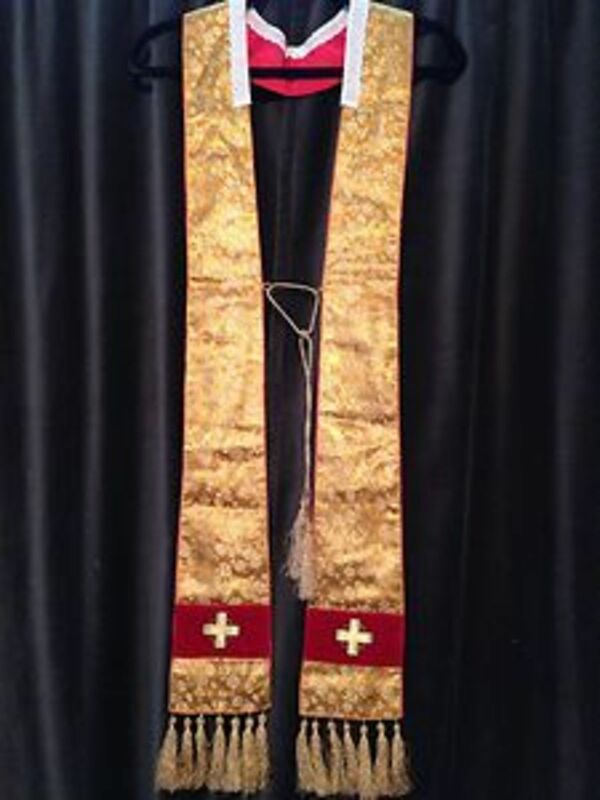 In time, many of the original "Seventy" Disciples and first Seven Deacons of the church became elevated as members of the elect Apostleship. As the ministry grew to also include the evangelism of the Gentiles in foreign lands, the Church of the New Covenant through Jesus Christ also would expand its authority and administration accordingly. With these things in mind, the viewpoint of the church from a scriptural perspective was that these designated "ecclesiasticals" (preachers and assemblymen) should thus hold and represent themselves as a standard in ministry that is an exemplary model of righteousness to their congregations. The Epistles to Timothy and Titus likewise emphasized these points when elaborating on the standards of conduct for the various offices of the church and its people: Bishops (1 Timothy 3:1-7; Titus 1:7-9); Deacons (1 Timothy 3:8-13); Elders (1 Timothy 5:17-25; Titus 1:5-6); Ministers (1 Timothy 4:6-16); Masters (1 Timothy 6:1-2); Congregation Members (1 Timothy 5:1-2; Titus 2:1-10; Titus 3:1-8). *Below we have listed just a few of the early apostles and ecclesiastical members of the church that were ordained as the ministry of Christ grew after His ascension. These faithful people are also all considered as some of the original "Seventy" Disciples appointed by Jesus prior to his crucifixion and resurrection. Although there are many notable names that would normally be included on the entire list, those mentioned here have more examples of their involvement and accounts of their role in the ministry listed in scripture for reference. 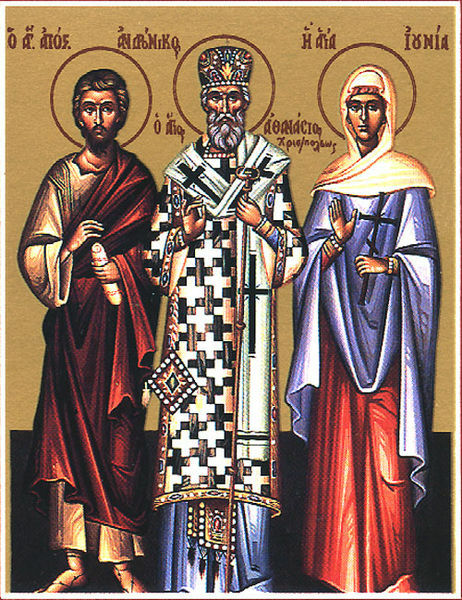 These two disciples were an early Christian missionary couple mentioned by the Apostle Paul: "Greet Andronicus and Junia, my relatives who were in prison with me: they are prominent among the apostles, and they were in Christ before I was." (Romans 16:7) According to that verse, Andronicus was a relative and fellow prisoner of the Apostle Paul, a particularly well-known Apostle, that had become a follower of Jesus Christ well before Paul's conversion on the "road to Damascus". It is also generally agreed that Junia was likewise the wife of Andronicus, as the only time Paul mentions a man and woman together in the same sentence and context like that, this is the case (for example with Aquila and Priscilla). Therefore, with them being related to the Apostle Paul, it would also imply that at least one of them was from the same region or city and may have also been part of the original "Seventy" Disciples (which they are credited as by church fathers) having already been in the ministry prior to Paul's conversion. It is also interesting to note the fact that the pair was an "evangelistic team", consisting of both a man and a woman and that Junia played an important role in discipleship for the church. Some Biblical scholars also argue, as with the various translations of the New Testament and their renditions of the translated Greek, that the words used for "prominent" and "apostles" may have different meanings as well? One theory is that Andronicus and Junia were not apostles themselves, but it is being implied that they had a high reputation among the apostles instead. However, classicist Evelyn Stagg and New Testament scholar Dr. Frank Stagg write that Paul makes a special point of explicitly stating, "how well known the couple is to him. That his references to the couple's imprisonment with him and to the time of their conversion relative to his own would give him no interest in deferring to the opinion of others as a source of credentials. Hence, he considers himself competent to endorse the couple as "apostles" on the basis of his own involvement with them." The Staggs conclude that both the context and the content of this verse indicate that it should be read "as is" naturally, and that Paul's commendation of the couple as being "remarkable" Christian workers and "apostles", therefore alongside with Silas, Timothy, and others granted that same title in the early Church. In the Eastern Orthodox church, Andronicus is noted as becoming the Bishop of Pannonia (Roman province north of Macedonia by the Danube River) and had preached the Gospel throughout that whole region together with Junia. In the same tradition, Andronicus and Junia are noted as being successful in bringing many people to Christ and in demolishing many temples of idolatry. The tradition also holds that "they had been imbued with the Holy Spirit as to performing miracles, by which they drove out demons and healed many of sickness and disease" ("The Prologue from Ochrid", by Bishop Nikolai Velimirovic). In the Eastern Orthodox tradition, Andronicus is recorded as being martyred and Junia is believed to have died of natural causes at an elderly age and is later venerated as a Saint. This couple is described several times in the New Testament. Aquila, the future husband of Priscilla, was a Jewish Christian originally from Pontus in Asia Minor, that had later moved to and was living in Italy. Priscilla was a woman of Jewish heritage and one of the earliest known Christian converts who lived in Rome. Later, according to church tradition, the couple left when the Emperor Claudius (in 49 A.D.) started to persecute and expell Jews from Itlay as written by Suetonius (1st-2nd century-Roman historian). Priscilla and Aquila would soon become known as some of the earliest ecclesiastic teachers in Christian theology. It is also important to note that Priscilla's name is mostly recorded ahead of her husband's name in the Holy Scripture, thus reflecting that she was likewise an integral part of this missionary team, not merely his wife and companion. Priscilla and Aquila then moved from Rome to Corinth, Greece and when the Apostle Paul had left from Athens to go there, he met Aquila (Acts 18:1-3), converting and baptizing his household. Priscilla and Aquila are described as: "by occupation they were tentmakers", and Paul, already having experience in this trade, is said to have worked with them there (Acts 18:3). Paul continued to live with Priscilla and Aquila for approximately 18 months (Acts 18:18), where they became his honored, much-loved friends and they worked closely together in the ministry of Jesus Christ. Priscilla and Aquila continued to assist Paul and were instrumental in the founding of the church in Corinth. When Paul left to sail across the Aegean Sea for Syria, Priscilla and Aquila accompanied him where they stopped at Ephesus (Acts 18:19) in the Roman province of Asia Minor (part of modern-day Turkey). Here, Paul wrote his first letter to the Church of Corinth, in which he mentions the couple (I Corinthians 16:19): "The churches in the province of Asia send you greetings. Aquila and Priscilla greet you warmly in the Lord, and so does the church that meets at their house." While in Ephesus, Priscilla and Aquila had also helped to set up a home with Onesiphorus (2 Timothy 4:19) that served as the hospitality headquarters for the Christian church and community there. Priscilla and Aquila are described as continuing to provide a presence that strengthened the early church. According to the account in Acts, the couple assisted an important evangelist in the area named Apollos, who is believed to have originally been a disciple of John the Baptist and was one of the early founders of the church in Ephesus. He is mentioned as one who: "taught accurately the things concerning Jesus, though he knew only the baptism of John. He began to speak boldly in the synagogue; but when Priscilla and Aquila heard him, they took him aside and explained the Way of God to him more accurately." (Acts 18:24-28) Priscilla and Aquila helped Apollos learn the rest of the New Covenant doctrine, since he had not been present in Judea during the crucifixion and ascension of Jesus to learn of these newer accounts. Together, they were instrumental in confirming Ephesus as a mainstream center for Christianity and on the reccomendations of the Ephesian brethren, Apollos is then requested in Corinth to assist with the church there. Later, when problems arose in Corinth inciting a splinter of factions (1 Corinthians 1:10-12) between the followers of Paul, Apollos and of Cephas (Peter), Priscilla and Aquila returned to Greece to help Apollos. They remained there at Corinth for a few years to stabilize the church, even after Apollos' frustration led him to leave. Around 54 A.D., when the Roman Emperor Claudius died and the expulsion of the Jews was lifted from Rome, Priscilla and Aquila are known to have returned there to Italy. Thus, when Paul wrote to the church at Rome, he greeted his old friends with recognition and gratitude in his letter (Romans 16:3-4): "my fellow workers in Christ Jesus. They risked their lives for me. Not only I but all the churches of the Gentiles are grateful to them." Later, the couple are again found in Ephesus with Timothy, where they are mentioned by the Apostle Paul in his epistle to him (2 Timothy 4:19), when Paul was at that time a prisoner in Rome. Priscilla and Aquila have been called the most famous couple in the Christian Bible since they were so obviously active in the the affairs of the church ranging between Rome and Asia Minor. Another item of importance about their appearance in scripture is that it provides an accurate chronological reference for synchronizing Paul's ministry. 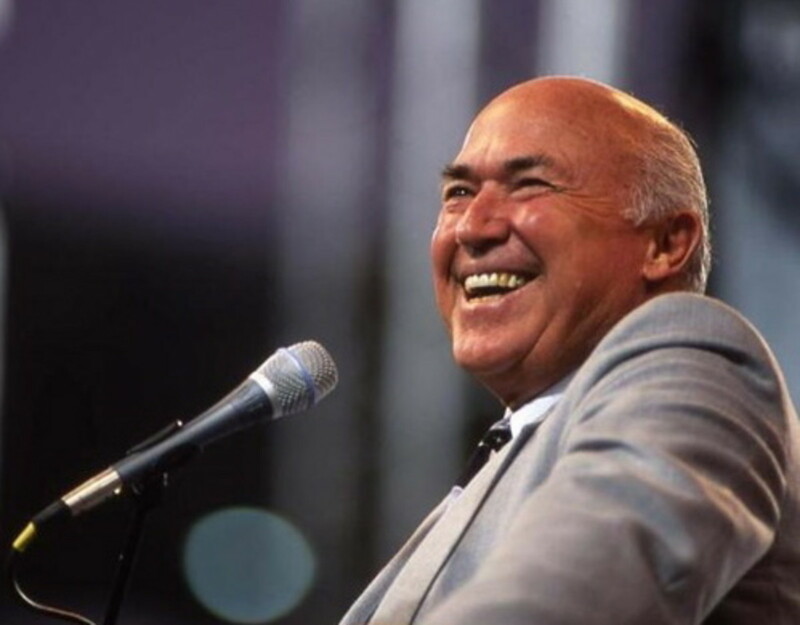 The mutual relationship of Priscilla and Aquila in the ministry and their leadership as ecclesiastical laypeople, is an inspirational example to members of church communities today in how to work together as teachers and preachers of the gospel. The Apostle Paul is noted by church fathers as making Aquila one of the first bishops of Asia Minor, along with Nicetas. As a bishop there, Aquila is reported as preaching the gospel vigorously, destroying idols and establishing several new churches, and ordaining many priests. Tradition holds that he was martyred for the sake of Christ by an insurection of pagans along with his wife Priscilla. Apollos was a Jewish Christian, originally born in Alexandria, that is mentioned several times in the New Testament. In harmony with Paul's notices are the statements in Acts that Apollos was a highly educated man. It is difficult to get a complete picture of his family and religious background, though it is believed however that he probably was one of the original disciples of John the Baptist (Acts 18:24-25) that Paul later encountered in Ephesus. 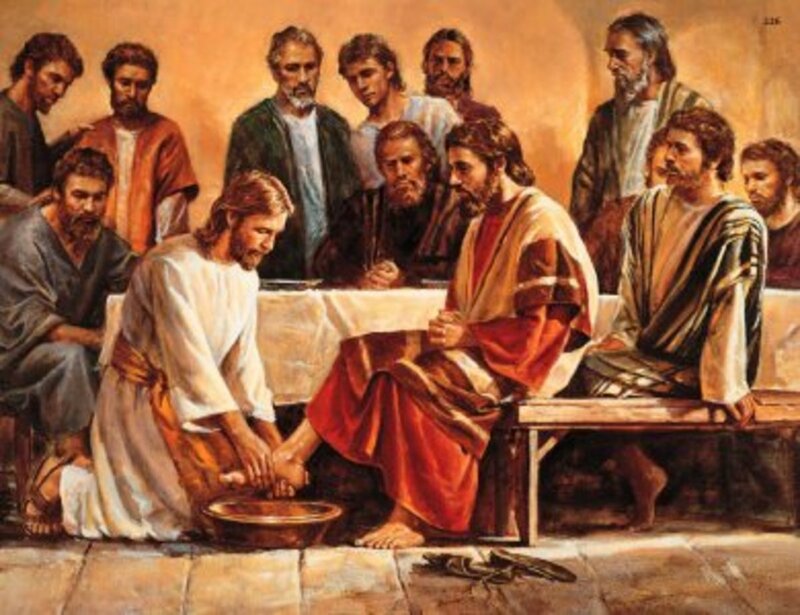 The twelve disciples who founded the church there (also members of the original "Seventy") had never heard of the "Baptism of the Holy Spirit" (Acts 19:1-4), which had been poured out on the believers in Jerusalem on the day of Pentecost. This was due to the fact that, some of the early disciples of Christ had already left Judea to perform their evangelistic work prior to this time. Apollos was known to be very effective in the ministry and "vigorously refuted the Jews publicly, showing from the Scriptures that Jesus is the Christ." (Acts 18:28) though he lacked full understanding of the completion of the New Covenant after Christ's ascension. The Christian couple Priscilla and Aquila corrected his incomplete doctrine (Acts 18:26) which allowed his special gifts in preaching Jesus to be more accurate. After Christians in Ephesus wrote to their counterparts in Greece, recommending Apollos to them, he traveled to Achaia (Acts 18:27) where he: "greatly helped those who had believed through grace." This made Apollos an important person in the congregation at Corinth after Paul's first visit there. Paul considered Apollos to be a valuable helper and asset in maintaining the important ministry of the Corinthian congregation. The Corinthian church still began to splinter and ended up with four factions, each forming under a specific portion of the teachings from either Paul, Apollos, Peter, or Christ in general (1 Corinthians 1:10-12). It is likely that Paul's teachings were somewhat less intricate when compared to those of Apollos, especially given what was mentioned about Apollos' style and level of education. There is no indication that Apollos prompted, approved or even favored these actions and he finally became dissatisfied with the division of the church at Corinth and their inability to work together for the common cause. 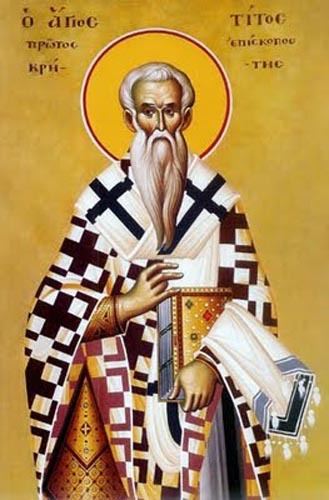 Saint Jerome states that Apollos was so dissatisfied with the division of the church at Corinth, that he temporarily retired to Crete with Zenas, a doctor of the law, as they are mentioned as bearers of the letter to Crete (Titus 3:13). Later tradition varies in that he is reported to have possibly been an interim bishop at a number of places including Smyrna in Asia Minor and Caesarea Maritima (seems he was frustrated a lot with people who could NOT see the truth!). Jerome also concludes that once the schism in Corinth was finally healed by Paul's epistles to the Corinthians, that Apollos eventually returned to the city and became its bishop as is noted by later church fathers. Martin Luther and some other modern scholars have proposed Apollos as one possible author of the Epistle to the Hebrews, rather than Barnabas, another possibility. Both were Jewish Christians with sufficient intellectual authority to have performed the task. Was a Levite from the country of Cyprus born with the given name, Joseph. He was an Early Christian convert, one of the earliest Christian disciples in Jerusalem according to some sources. His name is taken to mean "son of encouragement" (Acts 4:36-37). Some traditions also hold that Aristobulus of Britannia, one of the Seventy Disciples, was the brother of Barnabas. Like almost all converts at this time, Barnabas was one of the Children of Israel, specifically a Levite and became a "Jewish Christian". Barnabus was one of the first disciples that went to Antioch along with the "prophets and teachers" assigned there (Acts 13:1). Barnabas was later responsible for bringing Saul (Paul) before the Twelve Apostles and declared how Saul had seen the Lord and spoken to him. He confirmed how Saul had converted and then "preached boldly at Damascus in the name of Jesus" (Acts 9:27). Returning from Jerusalem to Antioch with Saul, they ministered and fasted where the Holy Spirit called both he and Saul (Paul) to become Apostles (Acts 13:2-3; 14:14). They were then both anointed by the church and he and Saul began to undertake missionary journeys (43-44 A.D.) to Seleucia (Mesopotamia), where later, along with John Mark they also sailed to Salamis in Cyprus, founding churches there (Acts 13:4-5). Next, going to Paphos (Cyprus) the three disciples had a notable encounter rebuking the local sorcerer (Bar-Jesus), which resulted in the conversion of the Roman proconsul Sergius Paulus (Acts 13:6-12). This is where Saul first became known by the Romans as "Paul the Apostle", the group then returning back to Antioch. Barnabus and Paul gained many converts in Antioch and successfully evangelized among the "God-fearing" gentiles (45-47 A.D.) who attended the synagogues in the various Hellenized cities of Anatolia (modern day Turkey) such as Pamphylia. Here, they departed company with John Mark and then continued on to Iconium, where they cured the poor and "stayed there a long time, speaking boldly in the Lord, who was bearing witness to the word of His grace, granting signs and wonders to be done by their hands" (Acts 14:3). Finally the rulers there wanted to abuse and stone them (Acts 14:5-6), so they fled to Lystra and Derbe, and cities of Lycaonia, where Barnabus and Paul continued to minister while performing more miraculous healings (Acts 14:8-19). Together they defended the Gentiles against the demands of stricter "Judaized" leaders (claiming the necessity of obedience to the Mosaic Laws). This almost escalated into a division of the church at Antioch (late 49 A.D.), where finally the Apostolic Council of Jerusalem (under Bishop James the Just) had to call for the historic meeting that led to the first "Apostolic Decree" as a resolution to this issue and other matters of doctrine (Acts 15:6-29). Barnabus and Paul continued to minister in the regions between Syria and Antioch, until later, while preparing to leave with Paul on his second missionary journey, the two had a sharp argument about taking John Mark with them on the trips. (Acts 15:36-41) They separated at this point, Paul going on with Silas across Asia Minor and into Greece, also with Timothy. Barnabus and John Mark however continued to minister in the Mediterranean regions between Cyprus and Antioch. Barnabus is traditionally identified as the founder of the Cypriot Christian Church and is also considered by Martin Luther and other modern scholars, as a possible author for the Epistle to the Hebrews in the New Testament. Church tradition relates that certain Jews in Cyprus became highly agitated by the extraordinary success Barnabas was having in preaching the gospel. As a result, he was attacked while disputing the Jews in a local synagogue, where they dragged him outside, tortured and then stoned him to death. His kinsman, John Mark, who was a spectator of this barbarous action, privately interred his body, which centuries later was discovered in a vision by Anthemios, the Archbishop of Constantia (Salamis) in 478 A.D. and then entombed at a different location. There is some disagreement over the proper form of his name: he is consistently called "Silas" in the Book of Acts but the Latin version of the name, "Silvanus", is always used by Paul in the First Epistle of Peter; therefore it is argued that "Silvanus" may be the Romanized version of the original "Silas", or vice versa, that "Silas" is the Greek nickname for "Silvanus". It is believed by some historians that he was born "Silas", but took on the Roman name "Silvanus" for evangelical reasons while travelling amongst the Gentiles. Silas was a leading member of the early Christian community and was one of the original "Seventy" disciples. He was also among the men and brethren from the church at the Jerusalem Council (Acts 15:22) who, along with Joseph Barsabus (the alternate candidate to replace Judas as the 12th Apostle), accompanied Paul and Barnabas back to Antioch to deliver the "Apostolic Jerusalem Decree" in favor of the Gentiles (See "COUNCIL of JERUSALEM" Below). 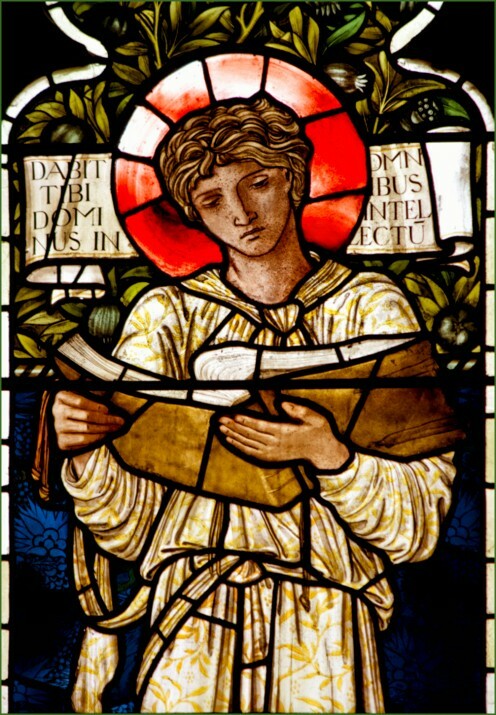 Silas was known as a great worker in the ministry and a prophet; "themselves being prophets also, exhorted and strengthened the brethren with many words" (Acts 15:32); who is later mentioned as accompanying the Apostle Paul in his missionary journeys, when Paul had parted ways with Barnabus in Antioch. When Silas and Paul went to Derbe and Lystra (Galatia), they joined up with Timothy, but the Holy Spirit later directed the three to continue on and minister beyond Phyrgia and Mysia. That is when Paul received the vision to: "Come over to Macedonia and help us." (Acts 16:9) and they sailed from Troas (containing the ruins from the ancient city of Troy) in northwestern Anatolia to the city of Philippi, the capital for that province of Macedonia. 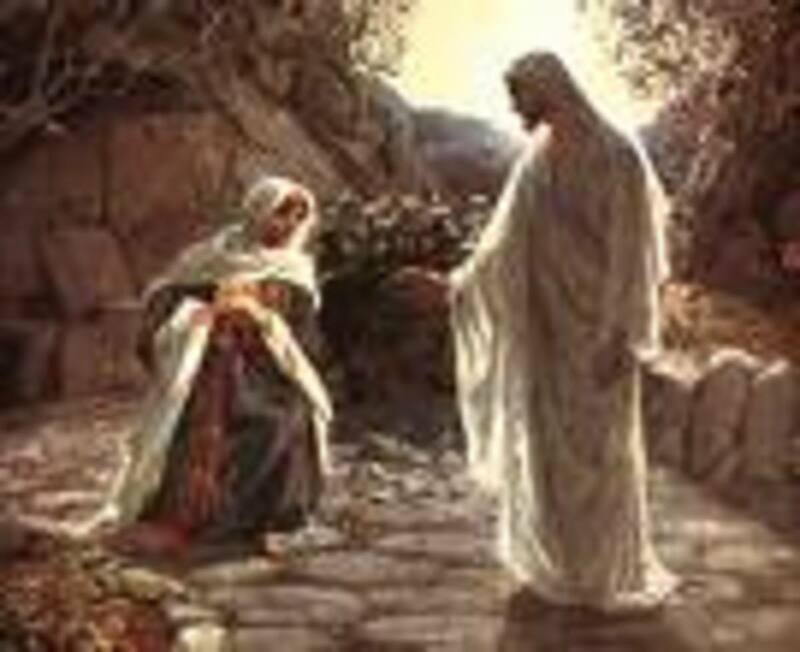 After ministering there for many days, the apostles encountered a woman fortune-teller that was possessed, whereas Paul rebuked the "spirit of divination" and it left her (Acts 16:18-19). The woman's masters (who profited from her business) then seized Paul and Silas, dragging them to the authorities and having them arrested. That midnight in prison, Paul and Silas astonished the guards and other prisoners by praying and singing hymns to God when, "Suddenly there was a great earthquake, so that the foundations of the prison were shaken; and immediately all the doors were opened and everyone’s chains were loosed." (Acts 16:26) As a result of this miracle, the Philippian Jailer runs in and asks the apostles: "Sirs, what must I do to be saved? ", hence they proceed to his home where his entire family is converted and baptised (Acts 16:30-34). Next, the apostles travel to Thessalonica where they minister for three weeks attempting to reason with the jewish synagogue. Some of the jews "becoming envious, took some of the evil men from the marketplace" and gathered a mob to set all the city in an uproar. They attacked the house of Jason the disciple, so the brethren immediately sent Paul and Silas away by night to Berea (Acts 17:10). At the synagogue there, the aposltes were met by more fair-minded people who "received the word with all readiness". Hearing this, the people of Thessalonica came to stir up more problems, so the brethren finally had to send Paul away (going to Athens); but both Silas and Timothy remained and continued to minister throughout Greece and Macedonia. Thessalonica was a cosmopolitan city and capital of one of the four Roman districts of Macedonia. It was an important trade-hub located on the "Via Egnatia", the road built by the Roman Republic to connect Dyrrachium (Illyricum province) on the Adriatic Sea, crossing through Macedonia and Thrace, with Byzantium on the Black Sea, where it facilitated trade between Europe and Asia. Silas settled and continued to minister in Thessalonica where later epistles sent there were addressed to "Silvanus". He later became the first Bishop for the Church of Thessalonica. 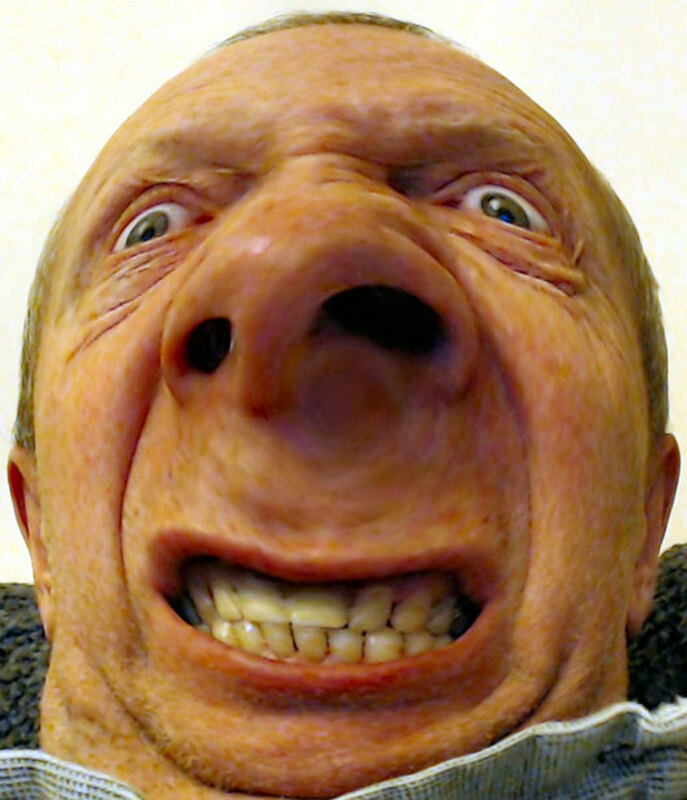 Timothy was an eary Christian, "the son of a certain Jewish woman who believed, but his father was Greek." (Acts 16:1) His mother, Eunice, and his grandmother, Lois, are noted as eminent for their piety and faith (2 Timothy 1:5), which indicates that they may have also been Christians. Timothy is praised by Paul for his knowledge of scripture (in the 1st century mostly from the Greek "Septuagint" translations), and is said to have been acquainted with the Holy Scriptures since childhood (2 Timothy 3:15). Little else is known about Timothy's father. It is indicated that although Timothy was at a much younger age than many of the other disciples (1 Timothy 4:12-14), that he had already been ministering in Asia Minor (possibly based at Ephesus, the first Christian church there) and was held in high esteem with the brethren of the church. He met up with Silas and the Apostle Paul at Lystra, on the fringes ofthe Galatian province, during Paul's second missionary journey. Most historians consider the Apostle Paul to be a mentor for Timothy. 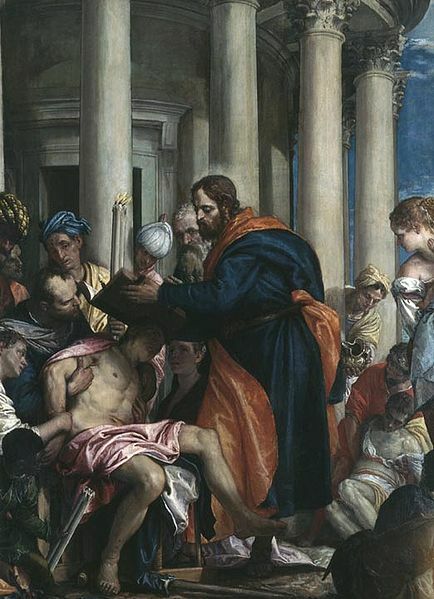 It is also mentioned that he had not been circumsized (his parents being a mixed-faith marriage), so therefore Paul had this done to ensure Timothy’s acceptability in the Jewish synagogues of that region (although this practice had already been decided as not being necessary under the newly adopted doctrines of the Christian church). The disciples were going through Phrygia and the regions of Galatia as they were delivering the new Apostolic Decree (See "COUNCIL of JERUSALEM" Below) to all the churches of Asia Minor, having recently been decided by the apostles and elders at the Jerusalem Council. That is when Paul received revelation for them to continue into Macedonia instead (Acts 16:9). Timothy was in Philippi, when Silas and Paul were assaulted by the crowds, though he was not present with them at time when they were arrested and jailed. The other two were miraculously saved from their fate (Acts 16:26) and the next day all three of them leave for Thessalonica. Timothy continues to travel with the apostles throughout Greece and eventually ends up based in Corinth working with Paul's friends, Aquila and his wife Priscilla, after Paul had left for Judea. Paul's epistles written to Timothy in the New Testament, reflect that problems were arising in the church at Ephesus and Paul states that Timothy is needed to immediately return there and help straighten out the issues. "According to the prophecies previously made concerning you, that by them you may wage the good warfare, having faith and a good conscience, which some having rejected, concerning the faith have suffered shipwreck." (1 Timothy 1:18-19) Paul provides Timothy with detailed instructions and information in these epistles about the organization of the church, its offices, and the proper conduct of all its members (both clergy and congregation). Paul also states: "...but if I am delayed, I write so that you may know how you ought to conduct yourself in the house of God, which is the church of the living God, the pillar and ground of the truth. And without controversy great is the mystery of godliness." (1 Timothy 3:15), which is prophetically foreshadowing the fate that would await Paul in Jerusalem and then later in Rome. Timothy remains in Ephesus and according to a later tradition, Paul consecrates him as Bishop of Ephesus in the year 65 A.D., while Paul is under "house arrest" in Rome. The same tradition holds that Timothy serves there for 15 years where he is reported as dying (between the years 80-97 A.D.) at the age of 80, while trying to halt a pagan procession of idols, ceremonies, and songs. In response to his preaching of the gospel, the angry pagans beat him, then dragged him through the streets and stoned him to death. Titus was a companion of the Apostle Paul and is mentioned in several of the epistles. Not a lot of background information is found about him otherwise. He appears to have been a Gentile and to have been chiefly engaged in ministering to them. Titus is also shown to play an important role in the administration of the early church according to the brief accounts listed in scripture, although a great amount of detail is not listed otherwise. Titus was present with Paul and Barnabas at Antioch and later accompanied them to the Council of Jerusalem (SEE Below) for the debate over the problems with the church doctrine pertaining to Gentiles. (Galatians 2:1-3; Acts 15:2), although his name is not given in the Acts of the Apostles reference (only listed as "certain others of them"). Titus therefore would have been a supporter of the issue concerning the law and the Gentiles. At a later period, the epistles place Titus along with Paul and Timothy in Ephesus, where he was then sent by Paul from there to Corinth, Greece for the purpose of getting contributions from the church there on behalf of the poor Christians at Jerusalem (2 Corinthians 8:6; 12:18). He returns to rejoin Paul when he was in Macedonia and cheered him with the tidings he brought from Corinth (2 Corinthians 7:6-15). After this, Titus is not mentioned until after Paul's first imprisonment. Titus had been sent to Crete and was actively engaged in the organization of the church there (Titus 1:5). Paul's epistle to Titus reflects a similar series of instructions and information about the organization of the church as found in the epistles to Timothy. The last mention of Titus is found much later when the Apostle Paul has been incarcerated in Rome. Titus had left Crete for a time and went to Rome to be of service to Paul. Titus is then mentioned as having departed for travel to Dalmatia (2 Timothy 4:10), when after Paul's martyrdom, he returned to Crete and became Bishop of Gortyn. Titus continued to guide the church and toiled at enlightening the pagans. The New Testament does not record the death of Titus but church fathers list that he died in the year 107 A.D., at an age of about 95. The Council of Jerusalem (or Apostolic Conference) is a name applied by historians to the early Christian council that was held in Jerusalem and dated to around the year 51 A.D. It has not been established to have been the very first council of the new Christian community's leaders, but it is the first one of which Biblical records exists (Galatians 2, Acts 15, and in the writings of the Church Fathers). This council however, was one of the most significant steps towards the unification of the early Christian church and the establishment of important doctrinal issues. The issue was over how the church laws would apply to the newly converted Gentiles without creating a "double standard". Just a quick test of your memory - Can you name the original 12 Apostles and the one who followed after (the 13th Apostle)? The first "anointed ones". Those persons that were called by God and the Holy Spirit to recognize Jesus Christ as the "Messiah" and pronounce His arrival, including the "fishers of men" and "the Rock". The original disciples that became the first 12 Apostles of Jesus Christ, who helped to establish the hierarchy of the early Christian Church. This also includes the demise of the "fallen Apostle" and his replacement (the 13th Apostle). The "Seventy Disciples" were chosen and sent out by Jesus after His Tranfiguration, to saturate Judea with the gospel, before His arrival in Jerusalem prior to "Palm Sunday". These people would later become the founding members of the early church. The Council of Jerusalem (or Apostolic Conference) is an early Christian council that was held in Jerusalem around the year 50 A.D. One of the most significant steps in the unification of the early Christian church and solved early doctrinal issues. Alphabetical Listing (A-H) - (Part One) The ranks of these disciples are the more prominent patriarchs of the early church. These people and the elect others who followed, would establish the ecclesiastic hierarchy for the future Christian Church. Alphabetical Listing (I-Z) - (Part Two) These disciples and the elect others that followed, became the patriarchs and elders of the early church. They would establish the foundation of the ecclesiastic hierarchy for the future of Christian Church. Not many people realize the extent to which women were involved in the early Christian church or how they fit into the ranks of the Apostles and Ecclesiastic Discipleship today. (COMING) APOSTLES (PART 11) - The "Apostle to the Gentiles" and Early Christian Church - The Apostle Paul becomes instrumental in spreading Christianity to the Gentiles, but the Romans fights back. Eventually, the new "Holy Roman Empire" would rise and dominate the scene of Christianity, setting the standard for the future of the church. (COMING) APOSTLES (PART 12) - The HOLY ROMAN Empire and Orthodox Religion - The Apostle Paul becomes instrumental in spreading Christianity to the Gentiles, but the Romans fights back. Eventually, the new "Holy Roman Empire" would rise and dominate the scene of Christianity, setting the standard for the future of the church. Why all 70 are the same race? colour? Out of the dust of "The Crucifixion" rises up a group of Christ Jesus followers who would begin a more than 2000 year long teaching class on God and Jesus, still to be continued.